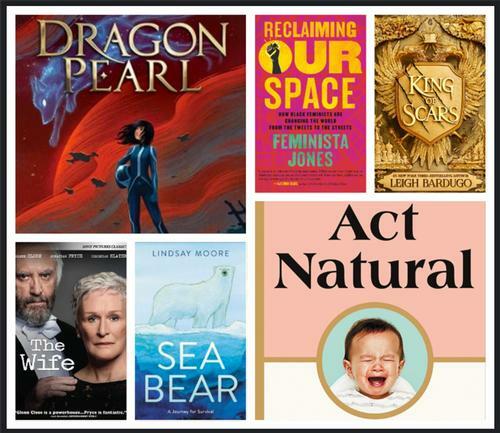 New Titles Coming to the Free Library in January! January is an especially good month to cozy up in a comfy chair with a warm cup and read a good book or watch a good movie and forget about what’s going on outside. Whether you’re looking to escape or to learn something new, we have these new titles to suggest, coming in January to a neighborhood library near you. A solitary polar bear makes her way across the sea ice in pursuit of food. As the ice melts and food becomes scarce, she is forced to swim for days. Finally, storm-tossed and exhausted, she finds shelter on land, where she has her cubs and waits for the sea to freeze again. This gorgeously illustrated book is the perfect marriage of scientific fact and poetry that will resonate with readers of all ages. Jump right in to this Korean mythological, adventure-packed, sci-fi fantasy from the Rick Riordan Presents imprint. 13-year-old Min has inherited fox magic, but her mother forbids her or her siblings to use it, instead insisting they appear as humans all the time. The adventure begins when Min manages to get aboard her older brother’s military space ship in order to find out what happened to him and clear his name. Don’t know anything about Korean mythology? No problem, as narrator Min seamlessly explains the details as the story unfolds. There's even a pronunciation guide to help, too! Face your demons... or feed them. Nikolai Lantsov has always had a gift for the impossible. No one knows what he endured in his country’s bloody civil war―and he intends to keep it that way. Now, as enemies gather at his weakened borders, the young king must find a way to refill Ravka’s coffers, forge new alliances, and stop a rising threat to the once-great Grisha Army. Yet with every day, a dark magic within him grows stronger, threatening to destroy all he has built. With the help of a young monk and a legendary Grisha Squaller, Nikolai will journey to the places in Ravka where the deepest magic survives to vanquish the terrible legacy inside him. He will risk everything to save his country and himself. But some secrets aren’t meant to stay buried―and some wounds aren’t meant to heal. Detroit ex-cop August Snow takes up vigilante justice when his beloved neighborhood of Mexicantown is caught in the crosshairs of a human trafficking scheme. When the body of an unidentified young Hispanic woman dressed as Queen Marie Antoinette is dredged from the Detroit River, the Detroit Police Department wants the case closed fast. Wayne County Coroner Bobby Falconi gives the woman's photo to his old pal ex-police detective August Snow, insisting August show it around his native Mexicantown to see if anyone recognizes her. August's good friend Elena, a prominent advocate for undocumented immigrants, recognizes the woman immediately as a local teenager, Isadora del Torres. Izzy's story is one the authorities don't want getting around―and she's not the only young woman to have disappeared during an Immigration and Customs Enforcement raid, only to turn up dead a few weeks later. Preyed upon by the law itself, the people of Mexicantown have no one to turn to. August Snow, the son of an African-American cop and a Mexican-American painter, will not sit by and watch his neighbors suffer in silence. In a guns-blazing wild ride across Detroit, from its neo-Nazi biker hole-ups to its hip-hop recording studios, its swanky social clubs to its seedy nightclubs, August puts his own life on the line to protect the community he loves. A funny and fascinating romp through the strange and often contradictory history of Western parenting. Moving from ancient Rome to Puritan New England to the Dr. Spock craze of mid-century America, Traig cheerfully explores historic and present-day parenting techniques ranging from the misguided, the nonsensical, and even the truly horrifying. Be it childbirth, breastfeeding, or the ways in which we teach children how to sleep, walk, eat, and talk, she leaves no stone unturned in her quest for answers. Social worker, activist, and cultural commentator Feminista Jones explores how Black women are changing culture, society, and the landscape of feminism by building digital communities and using social media as powerful platforms. Mark your calendar to see her speak at a free Author Event at Parkway Central Library on February 5! For almost 40 years, Joan (Glenn Close) has been the spouse of a prolific American writer, Joe (Jonathan Pryce). Joan is the greater woman behind the great man. Where Joe is casual, Joan is elegant. Where Joe is vain, Joan is self-effacing. Where Joe enjoys his very public role as Great American Novelist, Joan pours her considerable intellect, grace, charm, and diplomacy into the private role of Great Man's Wife, giving Joe her unwavering support as he pursues his writing aspirations. After a long career and an extensive body of work, Joe has been chosen to receive the Nobel Prize in Literature. As the Nobel ceremony nears, Joan confronts some uncomfortable and deeply suppressed truths about her marriage that have become a lifetime of shared compromises, secrets, betrayals, and mutual love. New Year—New Titles! Available at a neighborhood library near you! 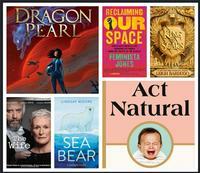 Add a Comment to New Titles Coming to the Free Library in January!